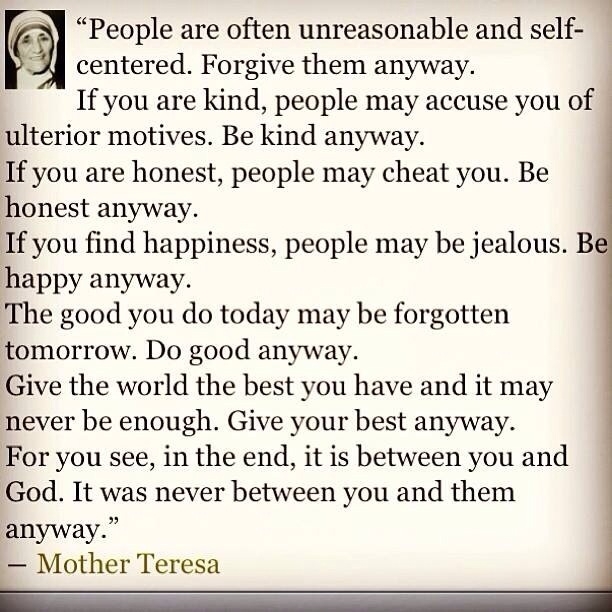 Yesterday, a friend sent me a beautiful encouragement in the form of a message from the late Mother Theresa. The words were so simple, yet so true. There is no need for me to say much more, other than that it blessed my socks off and I’m wearing three pairs at the moment. I will definately take her advice on board. It’s no wonder this lovely nun accomplished such amazing things for God in her short time here on Earth. There’s a song by Margaret Becker called ‘Never For Nothing’ which I have often played when I have felt mis-treated, mis-understood or taken for granted. This song, together with the little note that came to me yesterday, reminds me that we should all continue to do the right thing whether it’s remembered or not, acknowledged or not. A year or so ago, I got an earful down the phone from someone I was trying to help and encourage. I told them that they did not have to worry because I would help them now that the other people had deserted her. I was prepared to stand in the gap until she managed to fill it with whoever she considered to be the correct person, as it was not a job she could really handle on her own. This fact was often acknowledged by her, and once she had got upset because she had no help that day. However, I was accused of trying to ‘tell her what to do’ and ‘trying to take over her job’. Even the phrase, ‘How dare you!’ bounced off her angry lips. No apologies, explanations or cards in the post could get the message across to this dear lady that I was friend not foe. Everyone has a story like that. Some are much worse and make mine look pathetic. But we need to forgive and move on. It is clear that many folk like to judge people by their own understanding and twist things to justify their judgements, and there’s nothing we can do about that. So it is such a blessing when out of the blue, somebody sends something like this to lift you up and reassure you that God knows, and it’s only him who really understands the true intentions of our hearts! The good you do today, may be forgotten tomorrow. 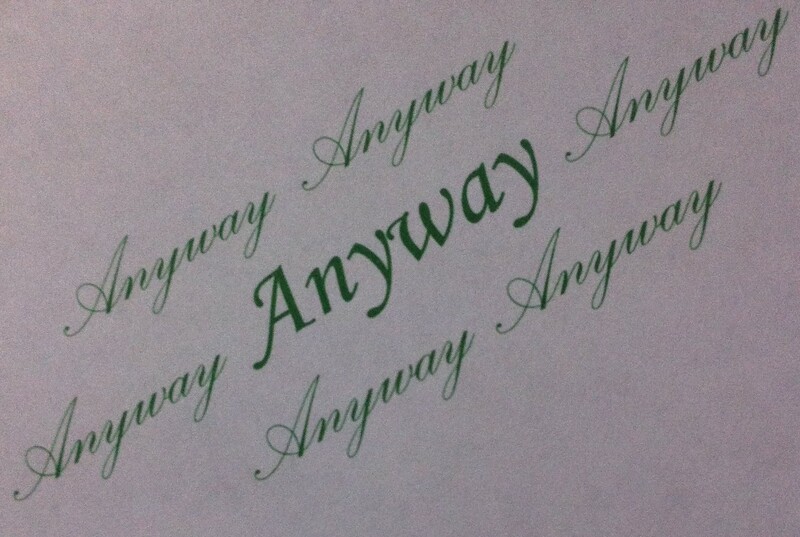 Do good anyway. For you see, in the end, it is between you and God. It was never between you and them, anyway. Awesome! Thanks for sharing, Sharon. This is so timely for where I am this week. SERIOUSLY! Thank you, Jesus, for using Sharon!